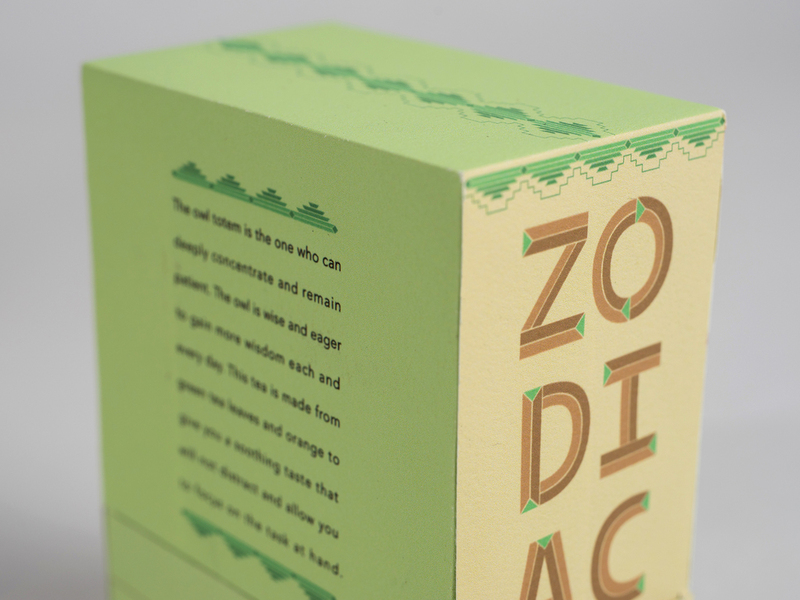 Zodiac is an herbal tea company that is centered around the Native American Zodiac. There are different totem animals for each month of the year, and they each have their own traits. 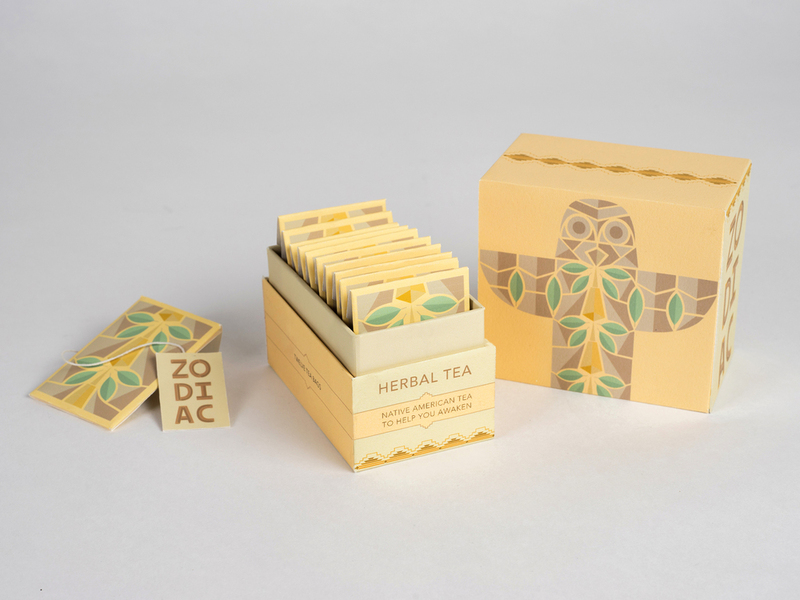 The three teas are green, white, and black, which are paired with the totems that represent the main quality of each tea. The boxes are meant to be tall and thin, and the letters of the logo are stacked to further communicate the totem pole aesthetic. One could even stack these on a shelf, and create their own totem poles.